Kim Stoll will be representing the firm at the Defence Research Institute International Conference held June 3-5 in Toronto, Ontario. Rui Fernandes and Kim Stoll will be representing the firm at the International Claims Conference in the United Kingdom on June 8th and 9th of this year. Gordon Hearn will be representing the firm at the Conference of Freight Counsel meeting being held June 14 -15 in Charleston, South Carolina. Gordon Hearn has been appointed to the Executive Committee of the Transportation Lawyers Association to serve as a Voting Past President. The Snow Valley case is fact specific and deals with a fouled anchor that was improperly rescued causing the sinking of Snow Valley’s tug. The Court considered both liability and damages. The “WARNOC” was a tug owned by Snow Valley Marine Services Ltd. (“Snow Valley”). The WARNOC was used for towing loads of logs in and out of Minette Bay and assisting the loading of log barges at Clio Bay, British Columbia. Log owners would retain Snow Valley to assistSeaspan Marine Corporation (“Seaspan”) in loading log barges. Any payments for services were made by the log owners and not by Seaspan. In October 2011, the WARNOC attended at Clio Bay to assist in the delivery of logs to Seaspan’s vessel, “SURVIVOR”. The SURVIVOR’s mate and deckhand retrieved the WARNOC’s stern anchor after loading. The anchor came up fouled causing it to be lifted in a crossways position and tangled with chain. Snow Valley and the WARNOC’s crew did not initially set up or attempt to recover the anchor from the Survivor, which had been accomplished by the crew of Seaspan’s tug, the “COMMODORE”. The crewmember employees of Snow Valley on the WARNOC, however, assisted with efforts to untangle the chain from the anchor. These employees had extensive experience operating vessels like the WARNOC. The crewmembers of the SURVIVOR and the WARNOC were involved with the attempts to release the anchor. The SURVIVOR’s mate attached a towline from the WARNOC to the SURVIVOR’S anchor or anchor chain, but, at trial, there was no agreement by the parties as to how or where it was attached. The crew of the WARNOC tied the other end of the towline to the tow post at the stern of the WARNOC. The SURVIVOR’s crew was responsible for the decisions regarding the safety line, which was deployed as a “blind pull”. The SURVIVOR’s crew could not see the actual attachment to the object that was being lifted. As it turned out, the safety line was attached at a considerable distance above the anchor and was not properly secured Unfortunately, after attempts to safely free the anchor, when it finally became free, the anchor rapidly fell a distance between 60 to 90 feet. The weight of the anchor and chain sunk the WARNOC into deep water, throwing both the crew of both vessels into the water. The Court considered the issues of which vessel’s crew had been negligent and, upon its finding of liability against the SURVIVOR’s crew, assessed the damages related to Snow Valley’s loss of the WARNOC. The plaintiff (Snow Valley) argued that the sinking of the WARNOC was solely caused as the result of the negligence of the Seaspan employees on the SURVIVOR and the COMMODORE for failing to properly secure a safety line to the anchor from the dozer boat crane on the SURVIVOR. The Captain of the SURVIVOR admitted that the care and management of the SURVIVOR and the COMMODORE were his responsibility and that he had delegated that responsibility to his mate who had prior experience clearing fouled anchors. The plaintiff argued that the SURVIVOR’s mate supervised, directed and was otherwise in charge of the operation to defoul the anchor whereas the crew of the WARNOC had no knowledge of any of the anchoring arrangements on the SURVIVOR and had played no part in the decision to deploy and use the safety line. 109. (1) The Master of a vessel shall take all reasonable steps to ensure the safety of the vessel and of persons who are onboard or are loading or unloading it while using equipment on it. (2) If the master of the vessel is informed of a safety hazard, the master shall, unless the master determines that the hazard does not exist, take reasonable measures to protect the vessel and persons on board from the hazard, including eliminating it if feasible. If it is not feasible to eliminate it, the master of a Canadianvessel shall notify the authorized representative. The defendants stated that the employees of Snow Valley were not properly qualified to operate the WARNOC tug as they did not have a Master, Limited certificate as required by the Marine Personnel Regulations, SOR/2007-115, s. 212(2) & (4), Table 1. In fact, Snow Valley knew that their employees had no certificates and nevertheless allowed them to operate the WARNOC. The defendants also argued that the only complaint regarding the SURVIVOR’s mate’s actions that contributed to the accident was the manner in which he attached the line from the WARNOC to the fouled anchor configuration, which did not cause the loss. The loss, it was argued, was actually caused by the method of tying a line to the tow-post (which the WARNOC’s crew had done), in particular, and by the overall lack of care of Snow Valley’s employees. (1) neither of Snow Valley’s employees who were assisting qualified with a Master, Limited certificate or held a qualified Mate certificate. The Marine Personnel Regulations mentioned above required one of the crew to have a Master, Limited certification on a vessel such as the WARNOC. A two-person crew is was sufficient for a vessel, like the WARNOC, involved in such operations. (*1). (4) the employees of the WARNOC were responsible for the safety of their vessel and also ensuring that the towline was properly and safely secured from the WARNOC ‘s tow post to the SURVIVOR’s anchor and chain, even if the mate of the SURVIVOR attached the other end of the towline to the anchor or chain. (5) the towline connection, either wholly or in part, did not cause the sinking of the WARNOC. The SURVIVOR’s mate, the Court determined, was delegated the fullest order and control by the SURVIVOR’s Captain to ensure the safety of that vessel and defouling of the SURVIVOR’s anchor and anchor chain and that this was properly and safely carried out. The mate, together with the log loader crew, was responsible for securing the safety line from the SURVIVOR’s dozer boat crane to the fouled anchor and chain and, due to the failure of that safety line, when the anchor fell free, the WARNOC sank and was lost. If the safety line had been properly secured to the Survivor ‘s anchor and chain, the positioning of the towline from the WARNOC to the Survivor ‘s anchor and chain (as performed by the WARNOC’s employees) would have had no bearing or effect on the resulting sinking of the WARNOC. It was the mate’s expertise and his responsibility as the mate of the SURVIVOR and his instructions that were followed by all involved with respect to the safety line that resulted in the loss of the WARNOC. The Court also reviewed the value of the WARNOC and considered the testimony of the various experts. The Court confirmed that the experts considered the cost of a rebuild, the cost of the WARNOC’s refit and the cost of a replacement vessel able to the work necessary. The Court also noted that there could be a premium value for a vessel like the WARNOC, due to her relative uniqueness in the market. It was acknowledged that money put into a vessel for a refit, maintenance and repair does not equate to the value out of the vessel. Further, the marine broker expert provided testimony that the fair market value of a replacement vessel is a better relative comparator for calculating damage using surveys and details of the boat for valuation. Maintenance costs and the amount spent to keep a vessel in good running order, the Court found, would not necessarily increase the value of the vessel but, in this case, the modifications were of such great magnitude as to change the design and improve her overall performance. The defence experts testified that the value of the damages ranged between $135,000 and $185,000. The plaintiff’s experts, alternatively, estimated the replacement of the WARNOC at $325,000 to $350,000, based on the improvements made, the work that the vessel could do and the value of her capability at the relevant time, her condition when surveyed and the value of an equivalent replacement. The Court found that the proper test for measure of damages in this case should be the value of the WARNOC to Snow Valley, as a going concern at the time and the place of the loss in October 2011. The value of the WARNOC was to be assessed by considering (1) the market place of a comparable replacement tug; (2) the cost of refitting a tug to do her work; and (3) the compensation required to put Snow Valley in the same position as if the loss had not been inflicted, subject to the remoteness of damages. Unfortunately, no comparable tug was available and so the assessment of the value of the WARNOC to Snow Valley was that of a going concern. At the time the vessel was sunk, such assessment could not be done with any great certainty. Further, no current survey was available and the assessment could not be based simply on a fair market value estimate. The Court relied upon Mr. Justice Cameron’s decision in the Giovanni Amendola v. Teeshoe  ExCR 1 at paragraphs 23 to 24. To put the Plaintiff in the same position as if the loss had not occurred would require, in addition to the value of the vessel lost, compensation for loss of user. This loss of user, in my opinion, is the difference between the cost of chartered vessels and the cost of the operation of the “Teeshoe” for the period required to build another vessel in six months, there being no vessels on the market at that time available for purchase. 25 It is clear, that the Registrar found that there were no tugs of a suitable type available for purchase and while there was conflicting evidence on this point also, there was evidence, which the Registrar was entitled to accept that no such tug was available for purchase. It was therefore necessary for the owners to hire a tug for the period that it would normally take to construct a new tug and it is not denied that such period is six months. The Court therefore found that the value of Snow Valley’s damages was $257,000, being approximately 60% of the replacement cost estimated by the plaintiff’s engineer. The Court reviewed the opinions of the experts and considered the special nature of the WARNOC ability to work in Clio Bay, an unusual work environment, as well as the documentary evidence provided in support of replacing the WARNOC with the refitted vessel, INLET PROWLER. It was noted that, after the incident, Snow Valley’s principal had attempted to purchase another tug to the work of the WARNOC, but was unable to find another vessel of comparable type and size available. The Inlet Prowler was a conventional hulled tug with a draft of approximately 2 feet more than the WARNOC. The Inlet Prowler had required some equipment upgrades and repairs before being put to work. The Inlet Prowler had more difficulty and more restrictions, although she did the same work as the WARNOC. The window of opportunity to use the Inlet Prowler was much smaller than the WARNOC, given her deeper draft. The Court found the Survivor’s mate and crew were solely negligent by failing to properly and safely secure a safety line from the SURVIVOR’s dozer boat crane to the Survivor ‘s five ton or more anchor and anchor chain causing the accidental sinking and loss of the WARNOC. The fact that neither of the WARNOC employees were Master mariners or that they were responsible to properly secure the towline from the WARNOC’s stern post to the SURVIVOR’s anchor and chain did not contribute to the resulting sinking and loss of the WARNOC. This was a very fact driven case and was significant enough in terms of value and disagreement between the parties to eventually be tried before Manson J. Experts were retained by each party. Curiously, however, the incident was not the subject of a Transportation Safety Board (“TSB”) report. (f) there is an accidental release on board or from the ship consisting of a quantity of dangerous goods or an emission of radiation that is greater than the quantity or emission levels specified in Part 8 of the Transportation of Dangerous Goods Regulations. It is possible that the incident was reported but no investigation undertaken. This seems unlikely given that the procedures regarding the defouling of the anchor would be a proper subject for a TSB investigation and report. -reporting publicly on our investigations and on the findings in relation thereto. A TSB investigation and report likely would have been helpful to the Court regarding what had actually happened and who was at fault though it is noted that the such report could not have been relied upon by the Court as the basis for any findings of negligence made by the Court. (*2)Manson, J., however, did not ignore the years of experience and considered whether the lack of technical qualifications contributed to the sinking of the WARNOC. Recently, in Save Halkett Bay Marine Park Society v. Canada (Minister of the Environment), 2015 FC 302, Chief Justice Paul Crampton of the Federal Court dismissed an application for judicial review. The application was brought by a group of concerned citizens in respect of a decision made by the federal Ministry of the Environment to issue a permit known as a “Disposal at Sea Permit” (the “Permit”). The Permit at issue in this case authorized the sinking of a former Canadian Navy vessel in order to create an artificial reef. The applicant, Save Halkett Bay Marine Park Society (the “Society”), sought to have the Permit quashed on the ground that the Minister was prohibited by law from authorizing the disposal at sea of a ship containing allegedly banned substances in its hull (dibutylin dichloride and tributylin chloride (“TBTs”)). The Society alleged that the ship’s anti-fouling paint, on the hull, contained TBTs, originally added to the paint in order to prevent barnacles and other marine animals from growing on the ship. In the alternative, the Society argued that the Minister’s decision to issue the Permit was unreasonable. The respondent, the Artificial Reef Society of British Columbia (“ARSBC”) disputed the Society’s contentions and also argued that the Society’s application for judicial review was filed late and should be dismissed on that basis. The Society is a group of property owners and full- or part-time residents of Halkett Bay on Gambier Island, British Columbia. The ARSBC is a non-profit organization based in Vancouver. Its mission is to create and promote sustainable artificial reefs in British Columbia and around the world. Since 1991, the ARSBC has successfully sunk six large ships and even a Boeing 737 aircraft. In establishing its reefs, a central objective of the ARSBC is to attract marine life and provide an environment in which it can flourish. The HMCS Annapolis was a destroyer in the Canadian Navy from 1964 to 1996. It was decommissioned in 1998 and sold to the ARSBC in March of 2008. The ARSBC acquired the Annapolis for the purpose of sinking her and turning her into an artificial reef. In June 2008, the Annapolis was moved from its base in Esquimault, British Columbia to Port Graves Bay, Gambier Island (near Halkett Bay) to be prepared for sinking as an artificial reef. The ARSBC subsequently selected Halkett Bay Marine Park as the site for the artificial reef, in part because of the opportunity to repair and restore the marine habitat in Halkett Bay, which had been damaged by decades of log booming activities. 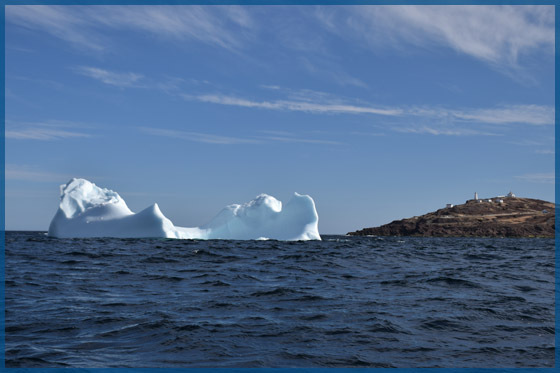 In order to sink the Annapolis and create an artificial reef, the ARSBC was required to obtain regulatory approval from, among others, the federal Ministry of the Environment (the “Minister” or “Environment Canada”). On October 2, 2014, the Minister issued the requisite document (a “Disposal at Sea Permit”) (the “Permit”), enabling the ARSBC to sink the Annapolis as planned. A week later, the Society filed a Notice of Objection pursuant to s. 332(2) of the Canadian Environmental Protection Act, SC 1999, c.33 (the “CEPA”), and requested that the Minister convene a Board of Review in respect of the Permit. The Society repeated its request in subsequent letters dated December 9 and 17, 2014. On January 6, 2015, one day after an announcement by the ARSBC that it planned to move the Annapolis into Halkett Bay on January 13, 2015 and sink her, the Society filed an application for judicial review in the Federal Court. Then, on January 7, 2015, Environment Canada wrote to the Society and declined its request to convene a Board of Review. The Minister’s response summarized the various concerns expressed by the Society and assured the Society that its concerns had been taken seriously. The letter concluded that the Annapolis could be disposed of in a manner that did not pose a significant risk to the marine environment or human health. 1) Was the Society’s application for judicial review filed late? 2) Did the Minister err in issuing the Permit by failing to consider an outright ban on TBTs that the Society asserted is in force in Canada? 3) Was the issuance of the Permit unreasonable? The Court dismissed the application in its entirely, on the basis of its analysis set out below. Crampton C.J. then considered whether to exercise his discretion to grant the Society an extension of time to file its application. Applying the well-known test (*2) applicable in such matters, the Court considered the following four factors: whether (1) the moving party exhibited a continuing intention to pursue the application; (2) there was merit to the application; (3) the other parties had suffered prejudice as a result of the delay; and (4) there is a reasonable explanation for the delay. Crampton C.J. concluded that the Society had not met the test for obtaining an extension. First, as discussed below, His Honour found no merit in the substantive arguments raised by the Society in the application itself. Second, he found that the Society had taken no steps to demonstrate its intention to file the application. Third, there was no explanation from the Society for the delay. Finally, Crampton C.J. also found that the ARSBC had suffered prejudice as a result of the Society’s filing the application, and may suffer additional prejudice in the future. This was because the Annapolis was in a deteriorated state and could possibly sink at any time at an undesirable location, which could have serious consequences. While the above analysis was enough to dispose of the application, the Court went on to consider the Society’s substantive arguments as well. Based on that position, and given its belief that there are at least some TBTs still present in the hull of the Annapolis, the Society then asserts that the Minister erred in law in failing to consider and apply that ban when she issued the Permit. Stated differently, the Society maintains, that the issuance of the Permit effectively condones a breach of Canadian law and therefore constitutes an excess in the exercise of the Minister’s jurisdiction. Crampton J. rejected the Society’s arguments in this regard. First, he held that the Annapolis in its current state was not a “ship”, as it had been significantly modified and deconstructed in order to facilitate sinking. Accordingly, the Convention did not apply. The Minister argued, and the Court accepted, that the definition of “discharge” in s. 185 of the CSA was broad enough to include a “discharge” of TBTs that might incidentally result from the sinking of the Annapolis. Thus, even if the Annapolis did contain an “anti-fouling system that contains [an] organotin compound that acts as a biocide”, the Minister did not act contrary to law in issuing the Permit, as s. 187 of the CSA specifically enabled her to do so. Finally, the Court rejected the Society’s argument that because TBTs are listed in Part 5 of the CEPA, which deals with “Controlling Toxic Substances”, and also in Schedule 1 of the CEPA (the “List of Toxic Substances”), they are effectively banned in Canada. Again, the Minister argued, and the Court accepted, that the mere fact that a substance appears on Schedule 1 of the CEPA does not operate as a ban of the substance in Canada, or prevent the Minister from issuing a permit authorizing disposal of the substance. The Society, in the alternative, also argued that the Minister’s decision to issue the permit was unreasonable in the circumstances and contrary to principles of administrative law. The Society made three contentions: (1) the Minister’s reasons provided in its letter to the Society, and/or the decision record complied by the Minister in the course of coming to its decision, did not provide enough information to allow anyone to understand why the Permit was issued and whether its issuance was within a range of possible, acceptable outcomes which are defensible in respect of the facts and law; (2) the Minister failed to properly apply Environment Canada’s Clean-Up Standard, notably in relation to certain “inconclusive” tests that were conducted for TBTs on the hull of the Annapolis; (3) if there were any TBTs in the hull of the Annapolis (and the Society submitted that there were), it would not have been reasonably open to the Minister to issue the Permit. The Court analyzed the above arguments in turn and rejected each of them. It held, first, that the Minister’s reasons in its letter to the Society, combined with its decision record, did in fact allow one to understand why the Permit was issued, and that the decision to issue was indeed within a range of possible, acceptable outcomes, in keeping with general principles of administrative law. Next, the Court found that there was in fact uncontested evidence that the hull of the Annapolis was nearly entirely covered with marine life and growth, and so therefore there could not be any significant anti-fouling paint (and by extension, TBTs) left on the hull. (*4) Therefore, there was no failure to properly apply Environment Canada’s Clean-Up Standard. Finally, the Court determined that the only confirmation of the presence of TBTs in the hull of the Annapolis was an analysis of a paint sample that was said to originate from the ship. This sample indicated trace amounts of TBT in the paint – representing a fraction by weight of 0.000697%. Notwithstanding the minute amount found, the Society maintained that such toxins posed an unacceptable risk to the marine environment and human health. The Society proffered scientific evidence that suggested that trace amounts of TBTs, such as those found, were indeed dangerous and could harm marine life and the environment. In response, ARSBC provided scientific evidence of its on that challenged the Society’s assertions. In the absence of clear and compelling evidence that any TBTs that remain in the Annapolis pose a real prospect of harming human health or the marine life in Halkett Bay in a material way, the Minister’s implicit decision that the sinking of the ship will not pose such a risk will be accorded deference. A final argument by the Society, concerning the Minister’s reliance on, and the suitability of, the Clean-Up Standard itself, was raised but summarily rejected by the Court. In sum, the Court found that the Minister’s decision to issue the Permit was not unreasonable. The Society’s application was accordingly dismissed. (*1) In the course of its analysis on this issue, the Court considered and rejected the Society’s contention that the Minister’s course of conduct was being challenged in this case, and not simply the decision to issue the Permit. As such, the Society argued that the course of conduct extended beyond October 2, 2014, all the way to the time that the application was filed. Accordingly, the application was not time-barred. Crampton C.J. rejected this argument, concluding that the subject matter of the application was solely the Minister’s decision to issue the Permit and nothing else. (*2) See, e.g. Muckenheim v. Canada (Employment Insurance Commission), 2008 FCA 249 (F.C.A.). The authorized representative of a vessel must ensure that it does not have an anti-fouling system that contains any organotin compounds that act as a biocide. 4. Cross-Border, Multi-Party Litigation: Where Should the Battle Take Place? The case of Currie v. Farr’s Coach Lines Ltd. (*1) provides a helpful review of the governing principles that apply in the determination by a Canadian court as to when it should hear a dispute involving domestic and foreign interests. The case hits close to home to those engaged in cross-border transportation, involving an international multi-party dispute arising from a tragic bus accident. A bus trip to New York City for 44 London Life Insurance employees turned tragic when the tour bus operated by Farr’s Coach Lines in which they were riding was rear-ended by a transport truck. The bus had emerged from the shoulder of the I-90 in upstate New York to continue with the trip when it was struck in the rear by a truck owned by Matrix Expedited Service (“Matrix”). Both vehicles burst into flames. The operator of the truck, Mr. Hume, was killed and many of the 44 passengers on the bus were injured. One of the passengers, Leota Leigh-Anne Currie, commenced an action in the Ontario Superior Court against various defendants including Mr. Hume’s estate and Matrix, who challenged the jurisdiction of the Ontario court to adjudicate the matter. Mr. Hume was domiciled in the State of Michigan. Matrix’s base of operations was in Michigan. These defendants applied to the Court for an order that the statement of claim be set aside or that the action be stayed on the basis that the Ontario Court had no jurisdiction to hear the action, or that alternatively Ontario was not a “convenient forum” for the adjudication of Ms. Currie’s claim. 1. Following the accident Ms. Currie was initially treated at a New York State hospital, and was transferred a few days after the accident to the London Health Sciences Centre in London where she later underwent surgery. The plaintiff had received the bulk of her treatment and therapy for her injuries in London, Ontario. 2. Thirty-Five of the 44 passengers on the bus had commenced actions in the New York State Supreme Court for damages for injuries sustained in the accident. 3. The remaining nine passengers had commenced an action in Ontario but had also started an action in the New York Supreme Court on a “without prejudice” basis so as to protect their rights under the New York State limitation period for suit to be taken. 4. One of the defendants, Daimler AG, is a multi-national corporation with head office in Germany. It manufactured the bus involved in the collision. 5. Another one of the defendants, Setra, is a subsidiary of Daimler who sells, leases, inspects and repairs buses sold in Ontario. 6. Another one of the defendants, 336726 Ontario Limited, carrying on business as Tarten Equipment Limited (“Tarten”) diagnoses, repairs and tests Setra buses and was involved in maintenance and inspection of the bus before the collision. 7. All interested parties have agreed that this challenge to the Ontario court jurisdiction would serve as a “test case” for all nine Ontario plaintiffs mentioned above. 8. Additional court actions had been started in the United States Federal District Court by Mr. Hume’s estate and by Traveler’s Insurance, who had insured the bus. 9. None of the aforementioned New York actions had at the point of this challenge to the Ontario forum proceeded to examinations for discovery. 10. Daimler AG and Tarten had themselves brought motions challenging the jurisdiction of the New York State Court. Their initial attempts to have the actions brought in that forum were unsuccessful in regards to their assertion that another court venue was more appropriate. 11. Neither the Hume estate nor Matrix had yet filed a statement of defence in the Ontario Supreme Court action. i) Did the Ontario Court have jurisdiction over the action commenced by Ms. Currie? ii) if it did, should the action in Ontario in any event by stayed on the basis that new York is a more convenient jurisdiction to hear Ms. Currie’s claim? Did the Ontario Court Have Jurisdiction over this Dispute? Ms. Currie asserted that she resided in London, Ontario where the action was filed, that the bulk of the medical witnesses resided in London and that fairness dictated that the matter be heard in London. Mr. Hume’s estate and Matrix countered that 35 of the 44 passengers had commenced actions in New York, that the accident happened in New York, that New York law applied to the accident (owing to it being the place where it occurred) and there existed a serious risk of inconsistent verdicts if the Ontario Court assumed jurisdiction. – comity and the standards of jurisdiction, recognition and enforcement prevailing elsewhere. – a contract connected with the dispute was made in the province. In cases involving foreign defendants the burden rests with the party asking the local court to assume jurisdiction to identify a presumptive connecting factor that links the subject matter of the litigation to that forum. Considering the above factors the Court ruled that it was satisfied that there were sufficient “presumptive factors” to support a conclusion that the Ontario Superior Court could assume jurisdiction over Ms. Currie’s lawsuit. Was Ontario in any event a Proper and “Convenient Forum” for the Dispute? – geographically speaking, New York was the natural forum, being the place where the accident occurred, accordingly being the place where police, ambulance and hospital personnel would be located. Accordingly, as the Hume estate and Matrix were unable to ‘tip the scale’ in establishing that logic, economy, convenience and fairness suggested the New York forum as being optimal for the litigation, the Ontario action was stayed. Ms. Currie would now be required to present her case before the New York court. While, no doubt, unfortunate and certainly not convenient for Ms. Currie, this case illustrates the system’s desire to concentrate multi-party litigation into the most appropriate court forum so as to avoid inconsistent findings of fact and the outcome of different claims. (*4) It being a well established principle that in a claim based in tort (involving allegations of negligence against one or more defendants) the law of the place where the tort is said to have occurred will govern the dispute. The action arose from the alleged malfunction of a UPS warehouse cooling system where Sanofi Pasteur vaccines were being stored in 2009. As required by the storage contract with , Sanofi Pasteur insured its vaccines under an all-risks policy. After a weekend of storage allegedly below the required temperature, the vaccines were unsaleable. Sanofi Pasteur was fully indemnified by its insurer, which subrogated itself and commenced the underlying action. The claim was for about $8 million. UPS brought an application against three of the service providers, Honeywell, Airon and ITS and their insurers for a declaration that they had a duty to defend UPS and indemnify them for all reasonable legal costs arising from the defence of the claims. UPS relied on the contractual provisions in the service contracts and the policies of insurance with the commercial general liability insurers. These contracts required the service provider to add UPS to their own CGL policies as an insured and also included a clause requiring the service provider to indemnify and hold UPS harmless from certain losses including legal costs. (a) An insurer is required to defend a claim where the facts alleged in the pleadings, if proven to be true, would require the insurer to indemnify the insured for the claim. (b) The onus is on the insured to establish that the pleadings fall within the initial grant of coverage. (c) The pleadings govern the duty to defend. However, in examining the pleadings, the parties are not bound by the labels selected by the plaintiff. It is the true nature or substance of the claim that is determinative. (d) It is irrelevant whether the allegations in the pleadings can be proven in evidence. That is to say, the duty to defend is not dependent on the insured actually being liable and the insurer actually being required to indemnify. What is required is the mere possibility that a claim falls within the insurance policy. (e) Where it is clear that the claim falls outside the policy, either because it does not come within the initial grant of coverage or because it is excluded by an exclusion clause, there will be no duty to defend. Further, where the pleadings are not framed with sufficient precision to determine whether the claims are covered by a policy, the insurer’s obligation to defend will be triggered where, on a reasonable reading of the pleadings, a claim within coverage can be inferred: Monencod. v. Commonwealth Insurance Co., 2001 SCC 49 (CanLII),  2 S.C.R. 699, at para. 31. (i) Claims against UPS SCS, Inc. regarding representations made to Sanofi Pasteur and encompassed in the Master Services Agreement entered into between them, and claims regarding the general operation of the business, employee training, proper maintenance and supervision of the warehouse. The causes of action alleged are negligence, gross negligence, recklessness and/or fundamental breach of contract. (ii) Claims against the other defendants, including ITS, as vendors, manufacturers, designers, installers and maintenance service providers of the components, equipment and systems that UPS SCS had in place at the warehouse, including with respect to the sensor that allegedly failed. The causes of action alleged are again negligence, gross negligence, recklessness and/or fundamental breach of contract. However, the essential nature of these claims is in negligence. The court also analyzed the service contracts in place. The court found that the service contracts did not impose a duty to defend upon the service providers. However, the court found that the three commercial general liability insurers had a duty to defend UPS in respect of the second category of claims advanced by Sanofi Pasteur. The court held that the three insurers should share the defence costs equally and, given that the duty to defend arose in respect to only one category of claims, independent counsel ought to be appointed to defend UPS. To the extent that the service contract, as amended by the change order, is incorporated by reference into the insurance policy, it forms part of the insurance policy. It is the insurance policy that must be interpreted to reach a conclusion about whether there is the mere possibility of coverage under that policy. While I appreciate that there is an overlap between the two in the circumstances where the policy incorporates the scope of work in this way, I conclude that it does not change the essential task. The task is to analyze the pleadings, assuming the alleged facts are true, and determine whether there is the mere possibility of coverage under the policy. Some of the evidence in the Honeywell affidavit could properly be described as objective evidence of the background facts at the time of the execution of the service contract that was within the knowledge of both parties on or before that time. One significant example is the evidence that the reference in the contract to cooler #2 is Cooler B and cooler #3 is Cooler C.
However, the Honeywell affidavit also describes how the work was actually done after the change order was made, and whether or not that work, in the view of the affiant, could have caused the problem with the Sanofi vaccines. That evidence is not permitted under the rubric of “surrounding circumstances”. And it is that evidence that leads to the conclusion that Honeywell and ACE argue for. It is good to see that the judge in this case gave heed to the Supreme Court of Canada’s caution on the use of surrounding circumstances for contract interpretation. The judge only used objective evidence of the background facts at the time of the execution of the contract that was within the knowledge of both parties on or before that time.